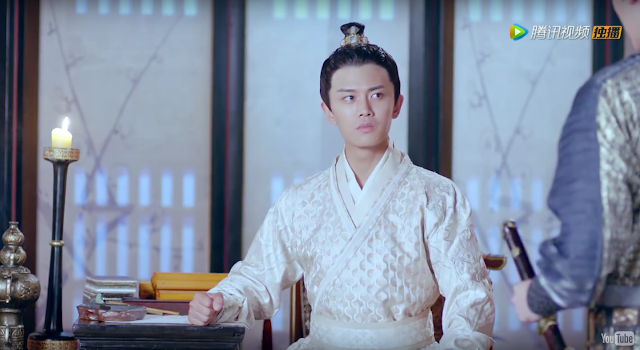 The Glory of Tang Dynasty 大唐榮耀 is a large scale production poised to take over the ratings game or at least give competition a run for its money, but it failed to even break into the top three that continues to be dominated by the widely-panned General and I. 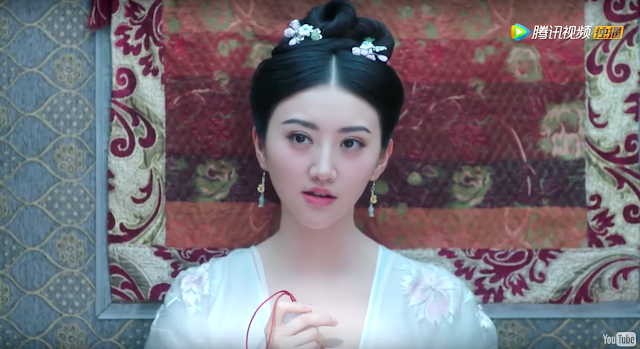 Truth be told, I am not surprised after barely making it through the premiere but on the upside, we've got a mini Legend of Chusen reunion and Chinese cinema's newest darling Jing Tian. I was always curious about this lady who earned not one but two headliners in Hollywood in quick succession, so I think I'll be sticking around for a few episodes more. Episode 1 begins with an introduction of the political situation and its participants. 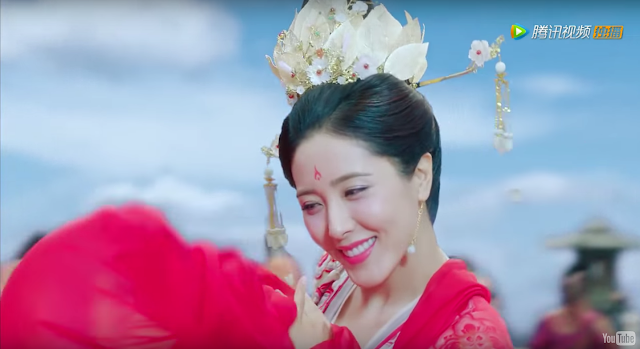 Yang Yu Huan (Zeng Li), better known in history as one of the four beauties of China, performs a dance for the Emperor of the Tang Dynasty indifferent to the escalating developments. 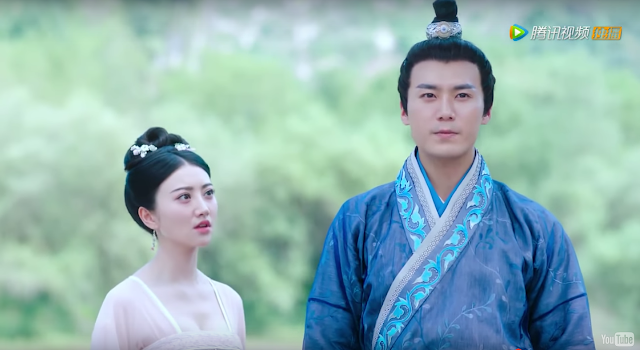 Yang Guo Zhong (Du Yuan) has framed Wei Jian and his sister, the Crown Princess, of treason and he delivers royal orders sentencing Wei Jian to death. 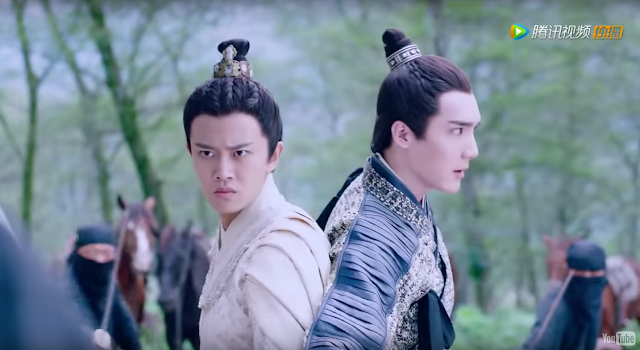 Li Chu (Ren Jia Lun) rides with his army through the woods while the Crown Prince kowtows before the emperor to plead his innocence. 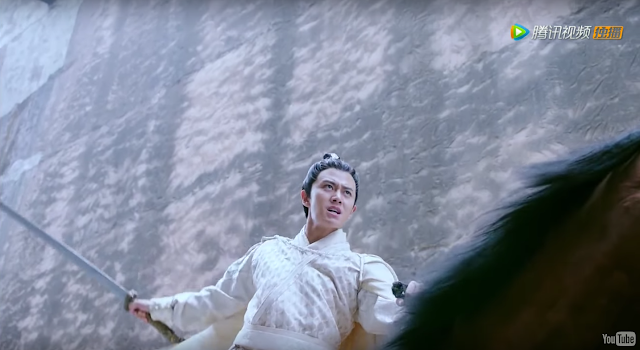 At the same time, Yang Guo Zhong executes the order to slaughter Wei Jian and his entire household. 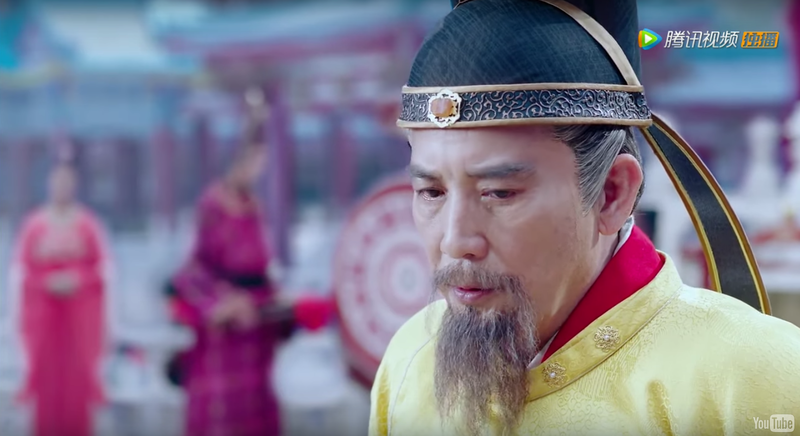 Before leaving, Yang Guo Zhong reminds his men to ensure that Li Chu must not enter the palace because he is the Emperor's most beloved grandson and the Crown Prince's last pillar of support. Sure enough, Li Chu walks right into a trap laid out by the assassins. He makes it to the palace but the Emperor questions his presence, "Didn't I send you to deal with the calamity? Why, rushing back so suddenly to plead your father's case?" 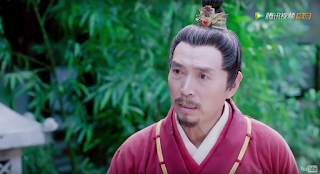 Li Chu clarifies that he places utmost priority on the rescue efforts and that he only returned to ask Yang Guo Zhong why the relief goods meant for the people never arrived. Yang Guo Zhong feigns ignorance, claiming that there must be a misunderstanding and takes his leave to investigate. 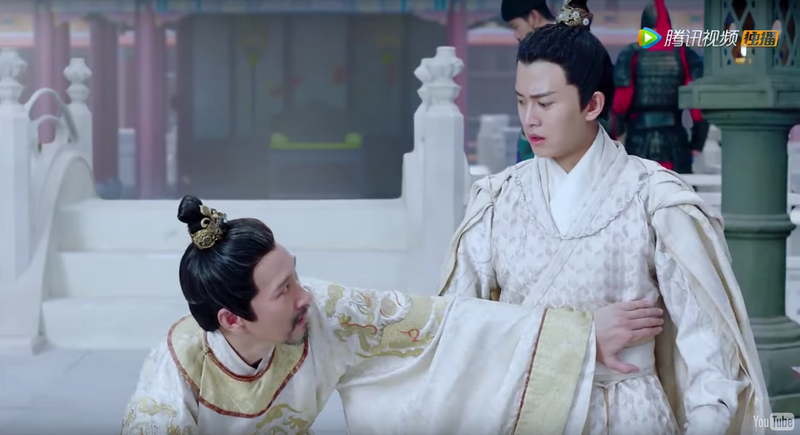 The Emperor allows Li Chu to rise but he remains on his knees and finally broaches the subject of the Crown Prince. Unwilling to listen further, the Emperor closes the issue by saying that he approves of the Crown Prince's decision to sever ties with the Crown Princess. Li Chu appears to protest but his father holds him back from saying anything more. 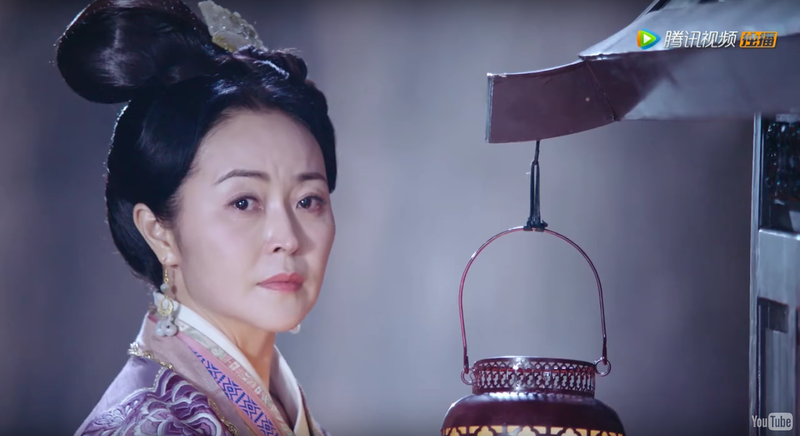 As the Crown Princess is about to depart, Li Chu arrives and calls for his mother. The Crown Princess tells Li Chu that she is no longer his mother and laments at the thought of her son being in constant danger. She leaves him with the last words from Wei Jian to be mindful of Dong Ze Bu and Shen Yi Zhi. Elsewhere, a young lady (Jing Tian) sits outside a classroom listening attentively to the teacher. When the teacher tells the students to write a poem, she immediately grabs a pen and paper and tosses her answer to a little boy. Li Chu receives reports on the two names that his uncle left behind. 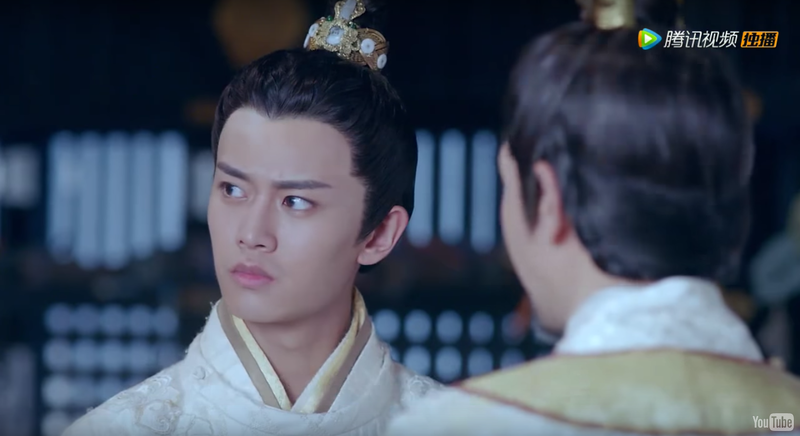 Dong Ze Bu is a traitor who has had a falling out with Yang Guo Zhong and he holds evidence of the latter's treasonous acts. Shen Yi Zhi on the other hand is an upstanding official with a clean record whom Yang Guo Zhong visited three times without success. In hopes of finding more information, Li Chu asks about a certain Wan Shi Tong, a person who knows the answer to any question under the sun. 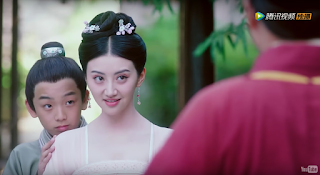 The young lady and the little boy come face to face with their father Shen Yi Zhi (Shen Bao Ping) who half-heartedly berates Shen Zhen Zhu (Jing Tian) for taking tests on behalf of her brother. She says she'd gladly take the tests herself and may even become a public servant like her father if only it were possible. Shen Yi Zhi tells Zhen Zhu that she is already eighteen and that it is time to find her a good match for marriage but she dotes on her father and asks to stay with him for a little longer. 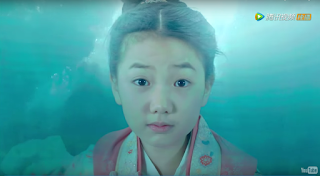 Inside her quarters, Zhen Zhu holds a jade pendant in her hand and thinks back to a time way back when she was rescued from drowning. She does not know the identity of the person but she has been looking for him ever since. Li Tan (Qin Jun Jie) approaches his older brother Li Chu about the Emperor's plan to procure wives for each of them. He finds it too soon and even expresses discontent over the new Crown Princess that was meant to replace their mother. 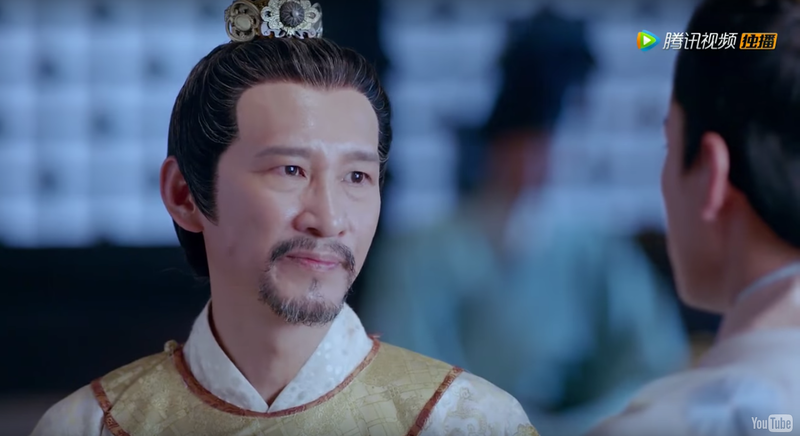 The Crown Prince also joins in on the conversation to confirm that Yang Guo Zhong is in fact arranging for his niece to marry Li Chu. Li Chu accepts the reality that they have no choice in the matter though Li Tan lights up at the realization that he can pick whomever he pleases since there is no designated match for him. 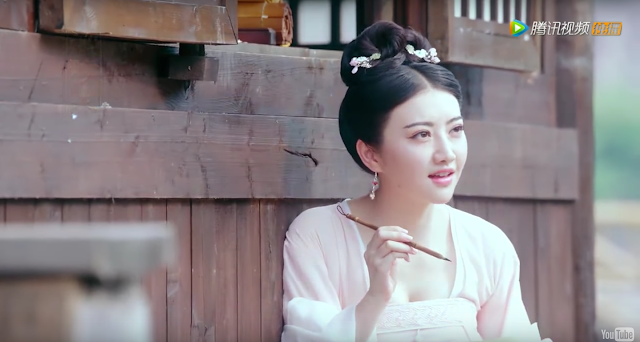 Zhen Zhu learns that her name has been added to the roster of eligible ladies to enter the palace. 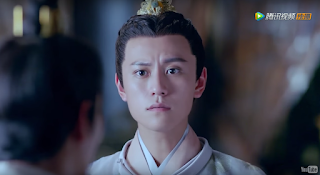 Determined to meet her savior first, she asks An Qing Xu (Mao Zi Jun) for information on Wan Shi Tong. 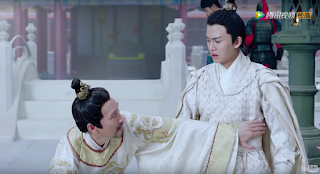 Their brief conversation conveys a lot as we are shown that Zhen Zhu has nothing but brotherly affection for An Qing Xu who clearly has feelings for her. He is disappointed upon realizing that she is still hung up on her savior and he tells her, "I can save you ten times..." He even proposes on the spot but stops her from giving an answer just yet. Even so, An Qing Xu divulges that Wan Shi Tong is in Xian Yang and Zhen Zhu then sets off to find him under the guise of going to the palace. First Impressions: Inasmuch as the show is overloaded with cliches, I still believe that it had potential (emphasis on the word had). We are met with a heroine facing gender inequality, a prince living a pitiful existence due to his lineage and a romance grounded by one unforgettable encounter. There's something about these tropes that warrant a retelling again and again but this is sadly not one of those instances where it worked. Try as I might, I lost interest in the political conflicts and that was supposed to be the exciting part! As the brainchild of the creators of Legend of Chusen, I was looking forward to visual excellence if nothing else so it's disappointing to find reality falling short. Instead of crazy impressive scenes, we end up with haphazard editing and off-putting special effects that have no place in a historical drama. 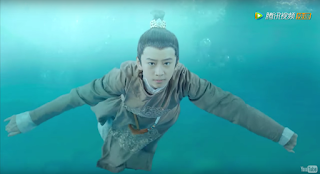 I was holding on to hope that the cast would save the show yet Ren Jia Lun is not exactly giving out a standout performance and his dramatic scenes were tolerable but lacking depth. 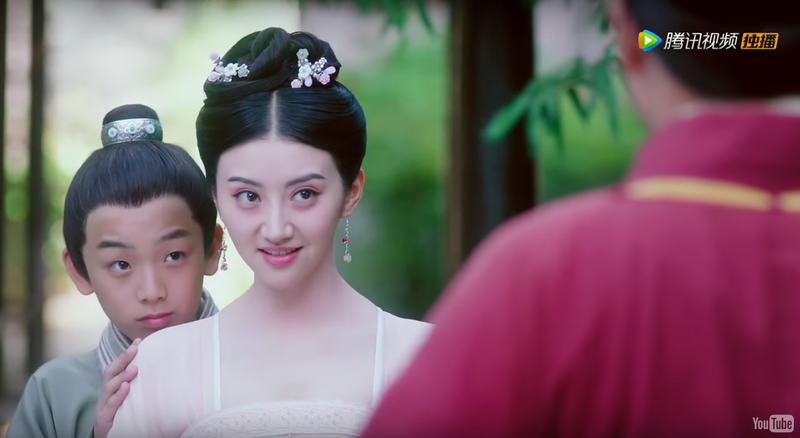 Jing Tian is beautiful but not given room to do much yet while Qin Jun Jie whom I generally find to be a decent actor is cringingly childlike as the younger prince. What's worse, I already feel bad for Mao Jun Jie who is not going to get the girl (again). Hii, was just wondering if you could please kindly tell me where you watched the first episode of this and was it with english subtitles? I have been patiently waiting for months now for any site to release the subbed version but to my dismay i have yet to find any. I only started watching C dramas late last year with the princess wei young and i instantly fell in love. 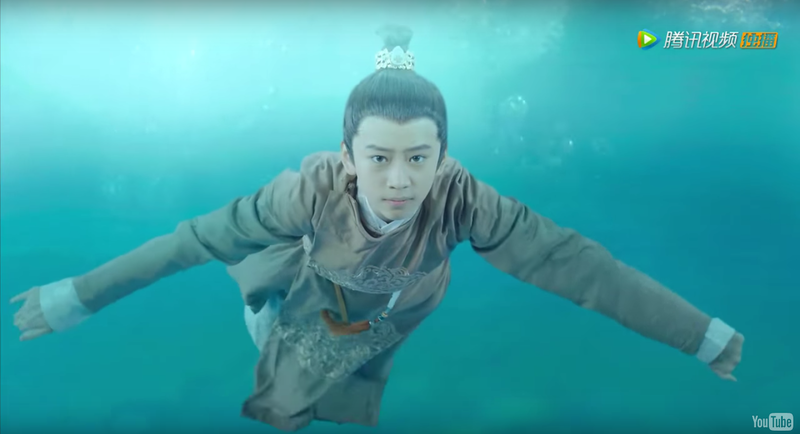 Since then i have endlessly searched for any other good historical c-dramas that could deliver the same thrill and stumbled across the glory of tang Dynasty trailer on youtube and i never looked back. I know 1000% i will love this drama and it is slowly killing me that i still cant watch it after all this time. 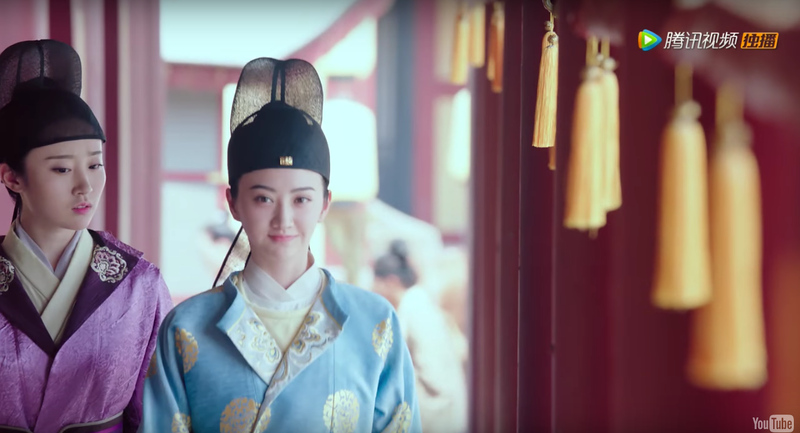 So if you could please please please advice me on where to watch this with english subtitles i would be soooo grateful :) Also whilst on the topic can you suggest any other C historical dramas that are similar to Princess wei young and Princess Agents? So far these are the only two that i generally love WITHOUT the horrible acting, unrealistic backgrounds and painfully clumsy CGI. Thanks again.